"Time for Renewal" - Time to fight Map-"Analphabetism"
Does our "HOW WE SEE THE WORLD" look like the world of the GreenPeace' Defending of the Oceans? , Robert Mueller, UN - Peace University , or that of Pentagon? or the former President Clinton  ?? Or are emblems or designs like below more appropriate? or how do we think about unconvensional "projections" -if they are fair and fidel? ([like 5 or 6 ] ?? (please note: references missing are to be found here). PLEASE NOTE: I argue and present here NOT against FRAPPR. It is an exciting and powerful, user-friendly, and so far unique tool. What we are talking here about is EARTH LITERACY, the distorted world maps used, or the clipping and cropping, treating Oceans as cut-outs for example, which stay in the mind of the people as a "map of the world". It would be so easy to change the entry-page - overview-map for FRAPPR, but as pupils, technicians and decision makers are still caught in unquestioned, old distorted, but omnipresent maps of the world, the problem looks like a hen and egg problem. The author believes that immersive, explorative 2-d and 3-d applications are jsut on the verge to become a day-to-day application, but it is now 20 years that Geographic Graphic Applications were presnted as the future or killer application at World Computer Graphics Association (WCGA), Berlin as the key-technical-theme and highlight. An it is time that forward looking and Future Studies people are involved in political, societal, and technological decision making, see link to OUTLOOKS AND SYNOPSISES, as otherwise digital divide between generations will lead to a generation thinking different, but on old, unquestioned basic assumptions and schemas, while the old generations is stuck in their old paradigm and mold, until they perish. (here more on paradigm mapping and meta-paradigms). Recent EQUAL AREA maps - to show a difference of shapes and proportions in how we see the world and the continents or areas. "other" maps - maybe a little old but also quite revealing, if you see for example the WALDSEEMÜLLER Map, where first America is called America and questions of what is the "1.World" suddenly can be answered differently or become silly. Doesn't some of the Maps above look like the ones (not only from) India and Mexico (see above), and others totally old or "odd" ??? Our kids are already into visual, navigation, and exploration, but they need the knowledge about "thruth, fidelity and fit" to to understand and hande maps and models. Without they are lost, to find shared and humane ways between (often only considered) antagonisms and confrontations. The proposal is to revisit some old text from UNESCO, like form 1972 on scientific exploration and model building, see the work of Herbert Stachowiak at GLOBAL LEARN DAY (Folie 7). We recommend to visit ADANCED VISUAL INTERFACES (AVI '98) and what we called CULTURE NAVIGATION. (Slide 33). 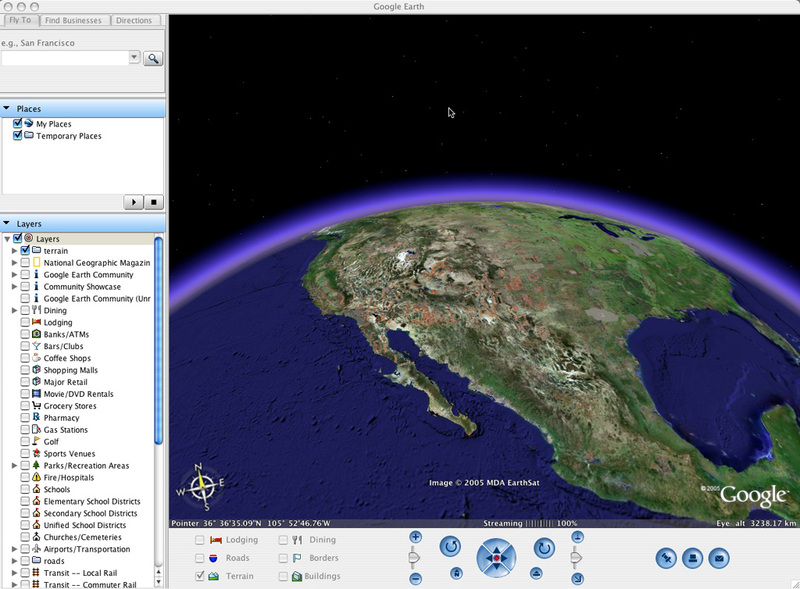 Please at this time consider navigating and orienting not just in 3-D but use the potential of connected or related spaces or space-scapes (CODATA 1994). The framework we mean and call a "cognitive panorama" can be found in the Encyclopedia of Systems and Cybernetics and is preswntly expanded and updated in "in-betweener" deepworlds or 9-D.
Nobody is "in charge" and feels responsible (shares, cares, dares) - or if people are or in charge where? - has anyone listened and questioned them? - or just cultivated our individual ignorance? Stakeholders, Risktakers, Drivers, Observers, ... (all have to be included to match Problem- and Solution Spaces) - see requisite requirements. Thinking, abstract - disembodied - with disconnected analytical, logical, dualistic "reasoning" without compassion, context, and empathy. Embodyment, multi-perspective, concrete, shared,... in extra- frames of refences. We are here on the site of in-BETWEENING and "deepworlds" - so expect more soon. I also recommend the World Problems and Human Potential Encyclopedia. ***** LINK with its 30th University this years. maybe see OLD and NEW - a seminar on the matter with the guy behind the Encyclopedia (Anthony Judge) and others. Make up your own mind and map, and share, explore and negotiate it !! AND maybe look into the UN Year of Planet Earth in 2007-9, maybe we have a chance to see a more fair picture of planet earth when we take the planet into the focus/picture of our planetary concerns. After presenting the above status report on worldmaps and worldviews and how to read and use them better, which was prepared for some months as we had to realise at the opening event in Germany for the Decade of Sustainability Education (DESD), that inappropriate, distorted maps are still in use, and are the basis for new materials to create curricula for schools. Not only in view of the Earth Literacy debate araound Rio 1992 and for Johannisburg 2002, and aware of modern difgital cartography the author felt it was high time that prototype and beta test versions for modern digital world exploration should be revisited. Now GOOGLE EARTH and FRAPPR are comming (hitting the virtual streets), he feels it is high time to not only revisit maps and models, our creativity and imagination, call it cognitive and shared maps and models, but to come to feasible and pragmatic approaches to tackle the issue of "HOW TO MAPS THE WORLD - AND HOW TO COMMUNICATE THE LEVELS AND ISSUES ALONG AND ACROSS SCALES and CULTURES". After the publication 2 month ago, a deluge of Recommendations like "how to make and teach mapmaking for schools" has been brought up and it took again a few weeks to sort out where such proposal from Canada, India, USA, Australia,... are conceptually. I had found the quality of the DIVERSOPHY recommendations LINK *** for teachers and pupils of great value, considered the Status Reports and Recommendations of About.com *** in the US, very questionable, LINK. Only new was the announcement to put the issue around teaching geography into a special group **** and listserve to be established after recommendations for *** classrooms** where made available in print and online in late 2005. In view of omnipresent statements, but as also found in above recommendations, s.a. like: (LINK), statements like: "insuitable and inappropriate world maps are still encountered in wall maps and school texts throughout the world. e.g. : maps with huge Greenland and tiny India and Mexico". I feel it is high time to not waist time any more - as was done the last 30 years - and the statement above is quite recent - to takle the issue of maps and models, in schools, puplic and governace. We will show below that the problem obove is extremely more virulent and critical than neve before, and incompetent, iliterate leaders, leaders not aware of places, levels, proportionsma nd consequences, as illiterate leaders are now in charge and negligent, ignorant of the matter of how our view of the worlds, our perception and understanding where we are and relate to the world, guides our understanding, ways to negotiate differences - the modus vivendi", and our "self-, us-, others-, and rest- consiousness". LINK. It was hard for the author to confront that International Organisations in charge, are not part of the solution, but a central problem, as they bought into the old "maps and views" as theys were more easily available, and it was to requested to see deeper and shared pictures. (the authors concern was "harmonisation" of such perspectives 15 years ago - so he might be biased). BUT GETTING BACK TO THE LEVERAGE POINTS: The problem might very well be top down, as International Organisations act as SIG's (SPECIAL Interest Groups), but not as they should GIG's (Global (integral) Interest Groups). SO WHERE ARE WE? Should we continue moan about the dilemma of that there si nobody in charge? or that shoold need to cahnge to have "educated" leaders, or leaders have to set the orientation and "grid" to we can negotiate commons, differences and futures? IN ORDER TO NOT LOOSE ANYONE WITH DIFFICULT WORDS, CONCEPTS, or COMPLEX ISSUES around positions and awareness of others, let us try to see where we are about and around World Mapping, -Understanding, and -Questing today, as this has much to do with global conviviality. pls.see full Nov. 16th 2005 Aniversary Article here. After the article some questions came up around the term EARTH LITERACY and Earth Literate Leaders and that there are very good RECOMMENDATIONS already around, like for text books and world maps for schools,a nd there might be many more. We schould see them discussed and implemented ! the links on the right and left lead to this backgrounds and recommendations and are highly recommeded to be studied, maybe after ! seeing some pictures below of how many different maps and forms we can find everywhere around us.